You are lucky to be in Santorini these days, as the 2 biggest sports events of Santorini are on their way: Santorini Experience (6-8 October) and Red Bull Art of Motion Parkour 2017 (7 October). More specifically, Santorini Experience is for the 3rd year on our island and athletes from all over the world are preparing to participate in the events and the competition of running from Oia to Fira and back and swimming from the volcano to the Old Port. Stay tuned for details! Today, at 10.00, children will take part in the 1km run at the Pantheraikou Stadium in Fira. Then, at 12.00, Greek-American ultramarathon runner Dean Karnazes will sign autographs as well as his latest book "The Road to Sparta" at the Alafouzos Sports store in Fira. The athlete has, among other things, run 50 marathons in 50 US states in 50 consecutive days and 560 km (350 miles) in 80 hours without sleep! 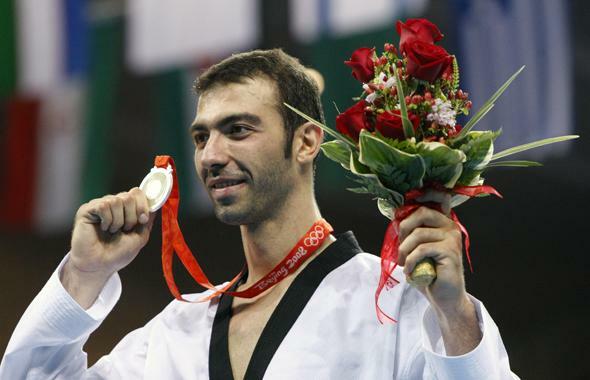 The two times Greek Olympic silver medalist Alexandros Nikolaidis will be next and he will teach Tae Kwon Do to beginners (at 15.00) and advanced pupils (at 16.00) at DAPPOS Sports Center in Karterados.